Hi. I am super sore today. Like, holy hell DOMS. 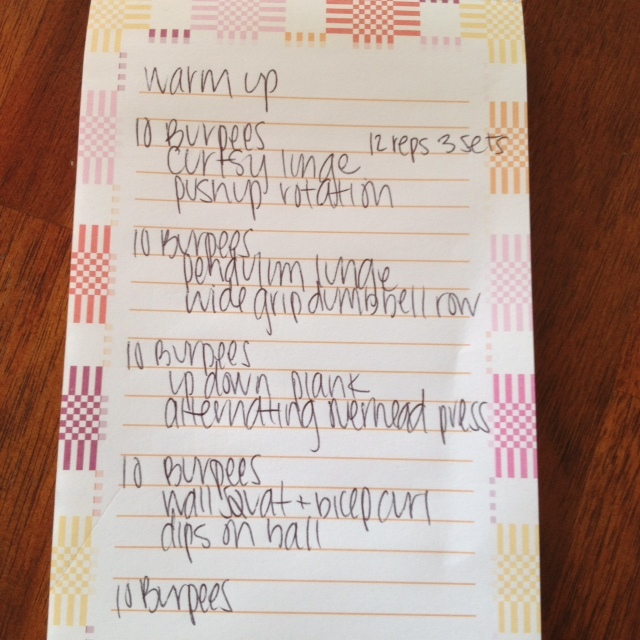 I started yesterday’s workout with about 10 minutes of kickboxing, then I did Tina’s Burpee Blaster workout. I finished up with a few sets of single legged hammer curl/row combos and stability ball extensions. And some abs. 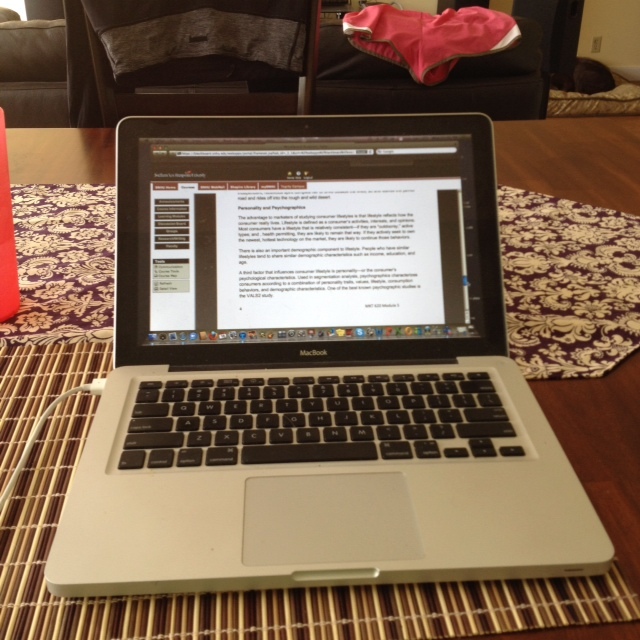 For my entire sweaty session, I listened to the FitFluential Radio Station on FitRadio. 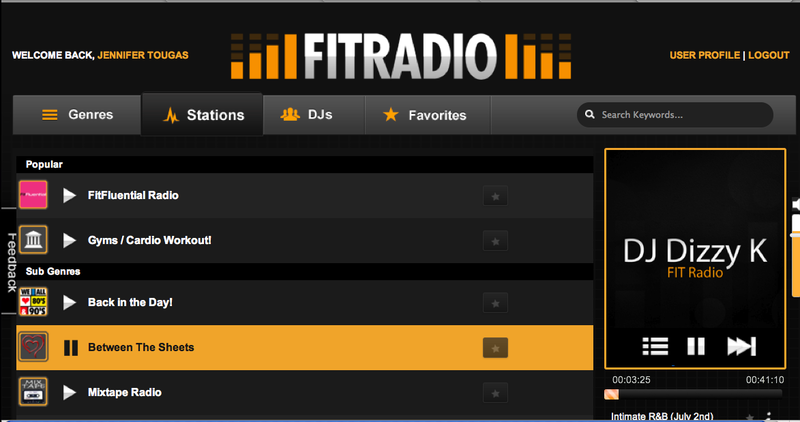 If you’ve never heard of FitRadio, I really encourage you to check it out. For my entire 60 minute workout, a continuous remix played and I loved every single minute. In fact, they even have remixes to music that’s not geared towards workouts. Right now I’m listening to the Between the Sheets station (it’s great, but I can’t help but giggle. Doing ‘it’ to remixed slow jams just seems like a bad Lifetime movie to me). Then, it was homework time. If you didn’t know, I am STILL in grad school. I started a year after undergrad, but I was so busy with my full-time job, teaching at the Y, studying for my ACSM certified personal trainer exam, traveling, and LIFE that I am finally on my 3rd to last class. I decided to take my last elective (or as I like to call them: fun) class during the summer, so that come fall/winter, I will be miserable indoors not only because of the weather, but because I will be finishing up with Managerial Economics and Operations Management (as if I didn’t suffer through them already in undergrad! woof). Then: Masters Degree. Back to the homework bit. 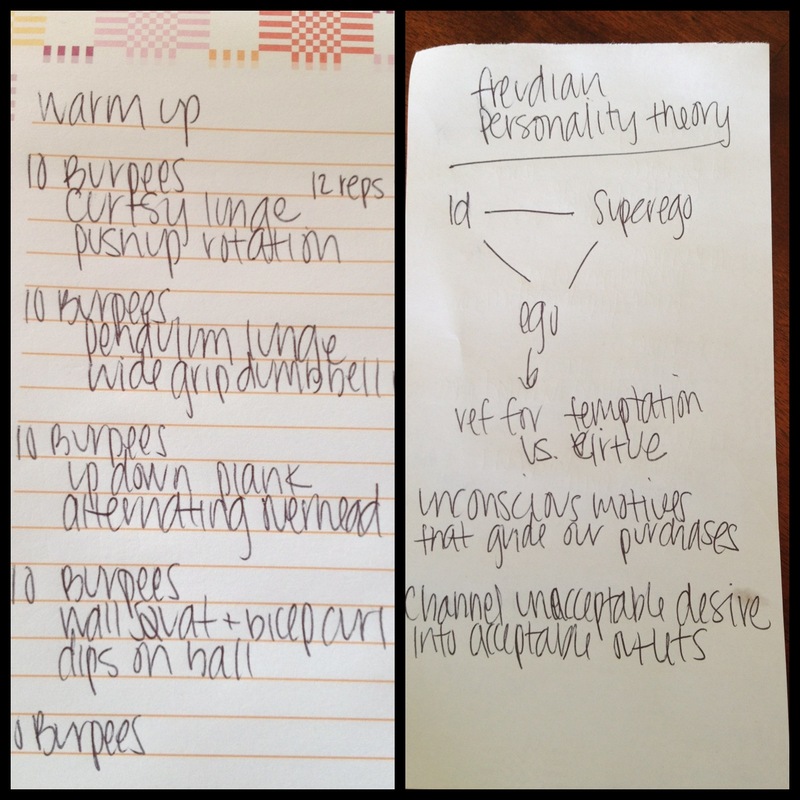 I am frugal in my paper consumption, so I used the back side of my workout to take notes on the Freudian Personality Theory. Because that’s normal. Whatever, I got to write about marketing sports cars and fine chocolates. On a different note. Tyler has been selling a lot of his stuff on Kijiji lately (for you American folk, that’s Canadian for Craigslist). Let me make a correction: Tyler posts the stuff, talks with people who are interested, then has ME do the dirty work of the actual exchange of goods. This morning, I sat on the front porch for 10 minutes while some guys inspected a paintball gun. I didn’t even know how much Tyler wanted for it. Good thing I’m awesome and made the sale at the right price. Pretty much the best gift this girl could ever get. Thanks so much, Athena!!!! Now, I’m off to meet up with some guy to sell yet ANOTHER one of Tyler’s things. Oy. Question: Anyone have requests for an upcoming post? Anything you want me to write about? Otherwise, the next post might be an entire scene from Anchorman. I’m not kidding. 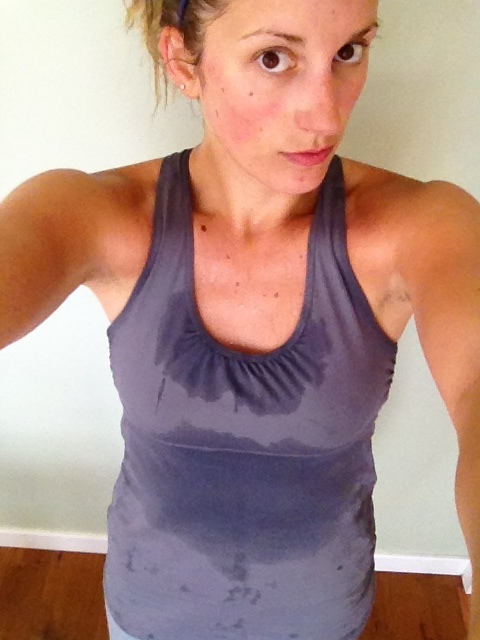 haha sweaty pics are all the rage lately. oh and I will check out the fit radio!! thx girl! Also, your arms look rockin’ in the sweaty pic. And is it bad I kind of would love if your next post is an Anchorman scene? I have yet to purchase a lulu item. I fear I will get addicted and my bank account will suffer. Haha! Glad you liked the workout. I looked like that after I did it too. 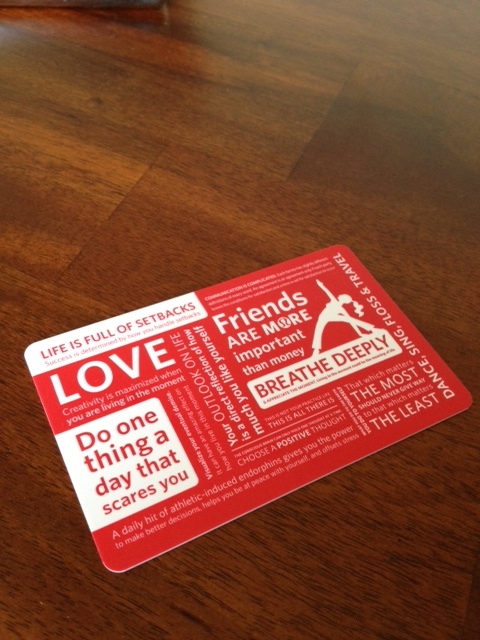 the only thing that got me started on lulu was the discount you get for being a fitness instructor! There are also a lot of groups on facebook and such that swap or sell items for a slightly less painful price tag! wait. say whhhattt?! I need to know more about this! The lulu group is awesome, too!